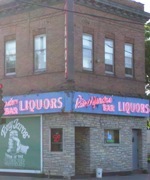 Tony Jaro’s River Garden is a Northeast landmark, just minutes from downtown. 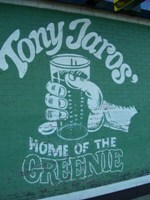 Family owned and operated since the early 60’s, Tony’s is packed nightly by friendly local NE residents and many a traveler, who all come to the famous “Home of the Greenie”. The “Greenie,” their trademark lime and vodka concoction, will make you part of the “family” and have you coming back often for more. 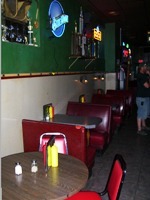 The River Garden Grill makes all their homemade food from scratch. Lunch Specials change daily, and are sure to fill a hungry man’s stomach. 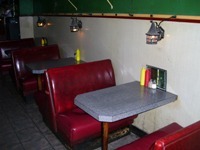 Hamburgers are made your way, and they offer an assortment of other sandwiches. Try the famous Pork Tenderloin Sandwich made from scratch, which goes great with a Greenie. 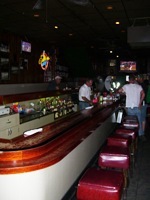 Just a regular bar without fancy frills, and great place for a cold drink, tasty food and fun.